Woven Polyester Mesh Woven Dryer Screen - Buy Woven Polyester Mesh Woven Dryer Screen Product on Hebei Reking Wire Mesh Co.,ltd. woven polyester mesh woven dryer screen Is mainly used for paper mill paper drying, drying and other industry areas. The company weave dry net, round wire and flat wire two types. 24503/22503 is suitable for the multi-cylinder paper machine, dryer for the first 3 groups, below 70 grams of paper production. For 24504/22504/20654/4106 multi-cylinder paper machine, with higher permeability, generally used in the latter half of the paper machine dryer production more than 70 grams of paper. 4106-16904/2/18688 flat wire network, is generally used in multi-cylinder paper machine, the first 3 groups of paper drying, high-grade paper. 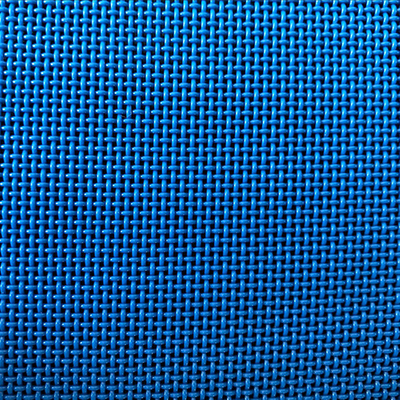 Mostly blue polyester fabric is predominantly used for polyester mesh belts for washing fruit and vegetables within the agricultural sector. This material can also be supplied in the colour white, but blue is often preferred as it is easily detectable between the products in case of damage. Various polyester mesh belts are available with a mesh opening ranging between 1000 micron (1 mm) and 4000 micron (4 mm), where obviously 4000 micron has the highest air and water permeability. 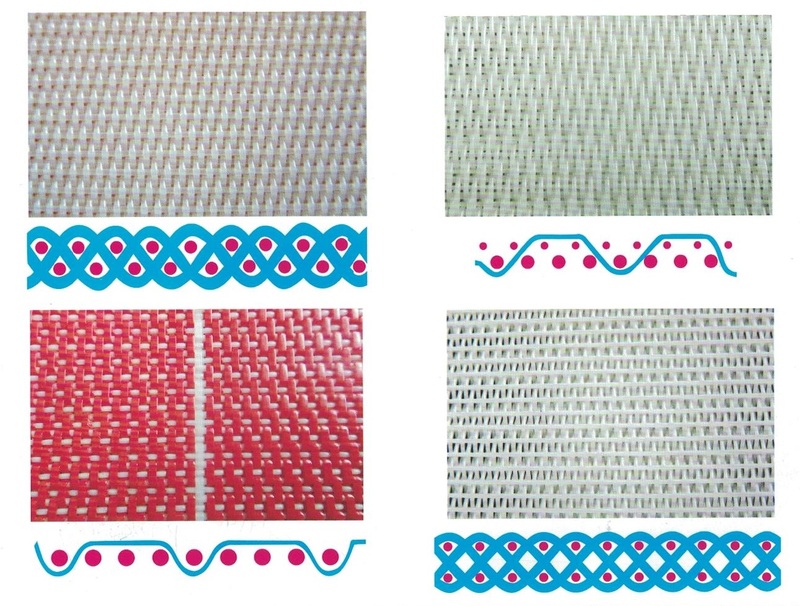 Thus small foods may benefit from polyester mesh with a small mesh opening, where larger sized food may process better on polyester mesh belts with a bigger aperture. Most of the polyester mesh belts are finished with PVC or PU edges, cleats and a metal jointer/clipper seam. 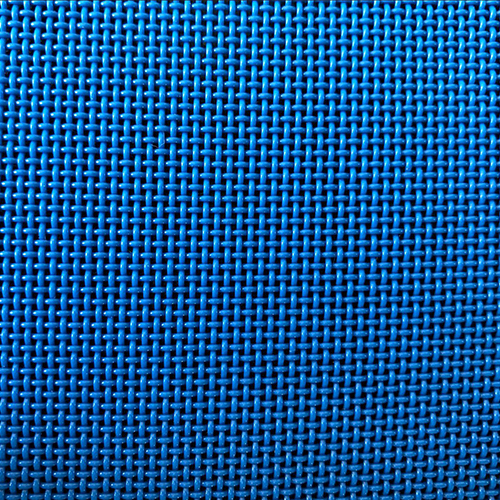 Other examples of applications and industries for this blue monofilament polyester mesh are sieves, filters, vacuum belts, flour milling industry, hygienic paper industry and so on. Used in Drying zones of Paper Machines producing different grades of Writing / Printing Papers. Manufactured from Hydrolysis resistant flat mono-filament Polyester yarn. · Flat mono-filament yarn gives high contact area with the drying surface for uniform drying. · Due to its lower air-permeability (200 – 400 CFM range) , it is widely used in paper machines (medium to high speeds) for all dryer groups. · Strong and non-marking spiral seam. · Flat spiral stitched back to give better seam quality as well as less down-time during change of screens. ( Advantage over pin-seam).